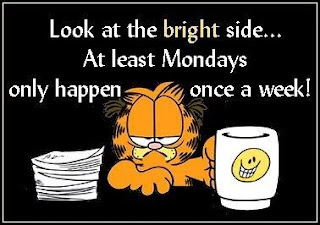 Ah Monday mornings... You just had fun all weekend and suddenly are back to reality. And oh my goodness, you forgot that you were going to put together a lesson plan and now you are scrambling...NEVER AGAIN! I planned all of my Monday morning lesson plans for the YEAR with this one language arts / social skills activity. On Fridays I give my students a homework assignment, to record things that they do over the weekend. I have different formats based on student needs. Some students write their responses, others students email, and still others send pictures or have their parents write it out for them so that we can later record it on their device or switch. When students come in on Monday, they check off if they completed their report on the board. If a student didn't finish their weekend report over the weekend, I have them complete that instead of their morning job when they arrive. 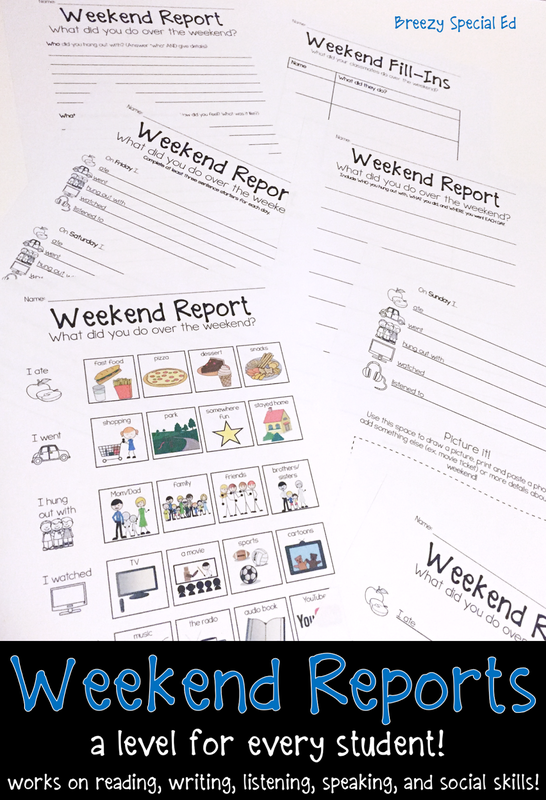 (This is an especially great time to use the symbol supported weekend report if students aren't able to provide many details on their own). We all take turns sharing our weekend reports. I have students volunteer to read their report instead of me calling on anyone. Sometimes we have awkward silence (and a lot of me modeling raising my hand and saying "pick me", waiting for a student to copy me). It took a while at first, but after getting used to the routine, students begin to volunteer on their own! Also, I now have students asking ME what I DID over the weekend! It's great to see these skills being carried over to typical social situations. 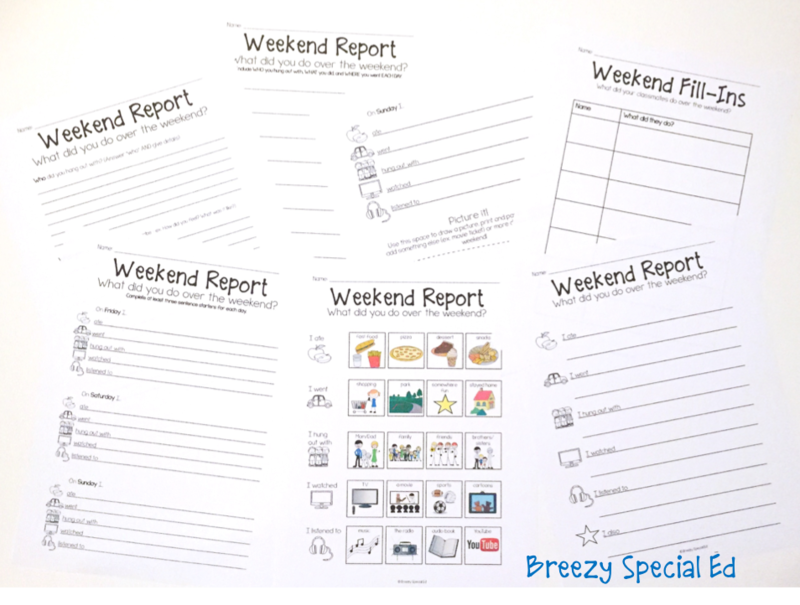 I have included my weekend reports (9 different levels) in this packet. I love these!!! I use them every week. My kids really enjoy hearing what their classmates did over the weekend and I love how it's differentiated for all levels. I love this idea and purchased it from your store. 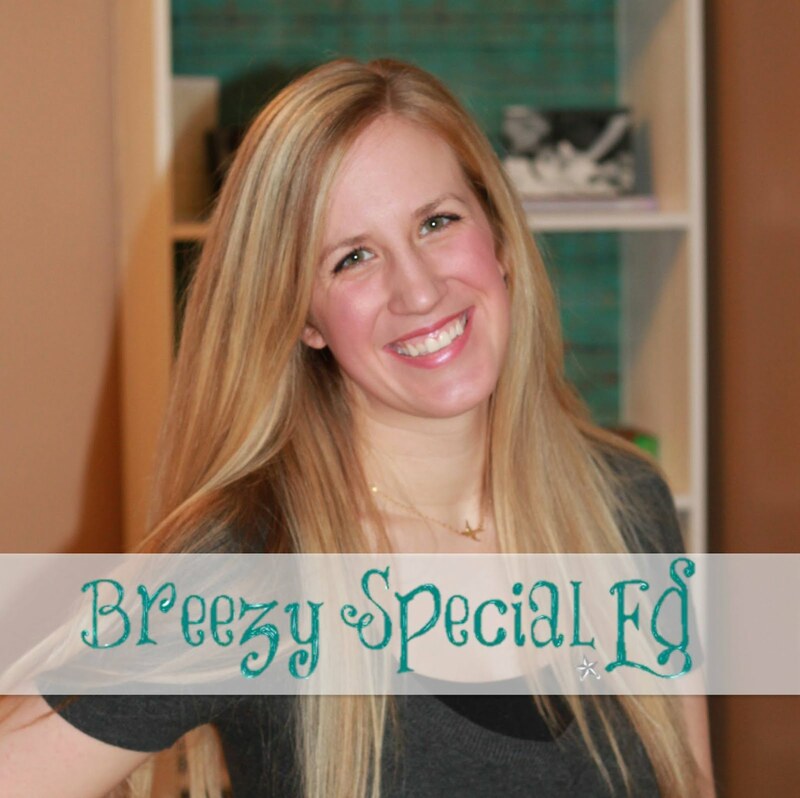 Could you suggest an IEP goal for this?